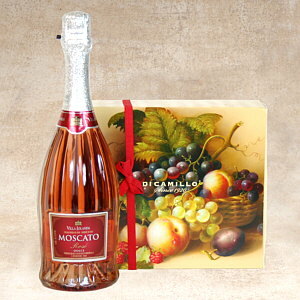 This Moscato was the hit of our last wine tasting, people were fighting over the last bottle. This is a light, delicately sweet Moscato Rose with tones of peach and strawberry on the nose. Frizzante rather than fully sparkling and with enough acidity for a nice clean finish, perfect for sipping in the garden. We paired it with our DiCamillo cookies, another Fancifull Favorite.